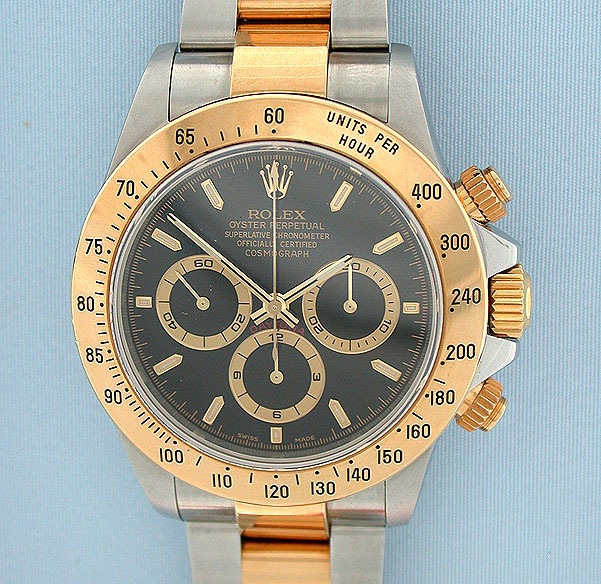 Fine Rolex Daytona reference 16523 stainless steel and 18K gold vintage wrist watch circa 1998. Original black dial. 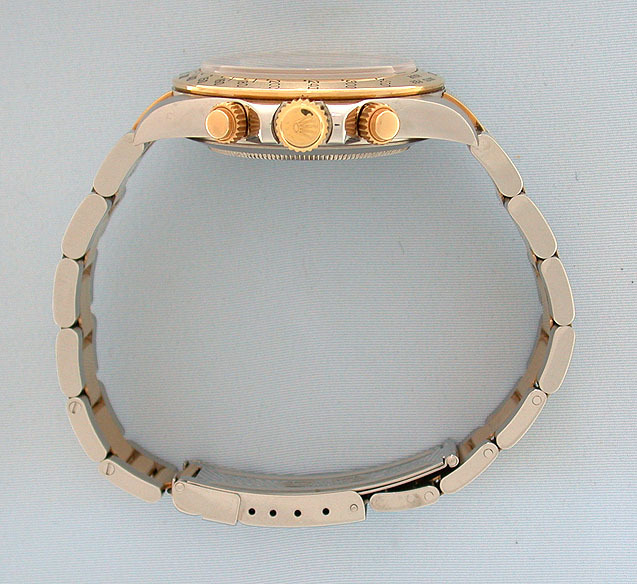 Calibre 4030 freesprung 31 jewel 6 adjustment automatic movement. Overall length 7.25 inches. Particularly fine condition throughout.